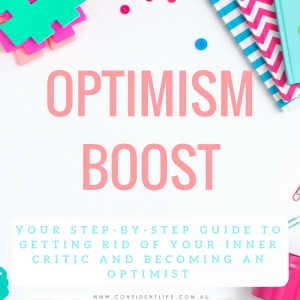 It is a toolbox for optimistic thinking that will teach you how to train your brain to reach for the optimistic thoughts first and help you create an optimism plan that you can utilize for the rest of your life. Discover all the strategies that psychologists use daily to improve self-talk, unhelpful thinking traps, challenge negative thinking patterns, harness the power of positive thinking and focus on self compassion and awareness. Want the tips and strategies I use as a psychologist every day to build your confidence? 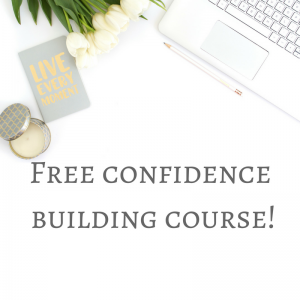 This FREE 10 day email course will introduce you to heaps of different tools that you can implement in your life to feel calmer, more content in yourself, grateful, and more confident! If you are a busy, overwhelmed, and stressed-out mess, you KNOW how hard it can be to find the time and energy to prioritise yourself. There are a million reasons you don’t practice self care. This is where I come in! 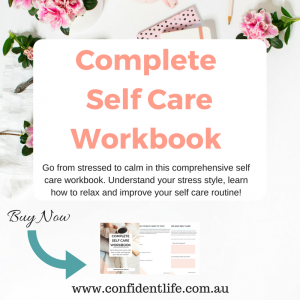 I have created this Complete Self Care Workbook that is FULL of evidenced-based and practical strategies to reduce stress and create an effective self care routine. This is the workbook you need to buy if you want to reduce your stress levels, and take your self care routine to the next level. It include 30 pages of practical, useful strategies that you can implement straight away.